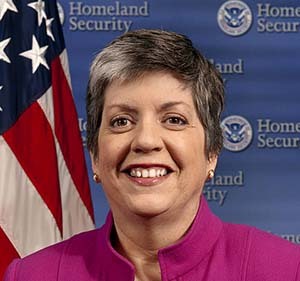 She was a federal prosecutor, state attorney general, governor of Arizona, secretary of the Department of Homeland Security – and now she’ll be our boss: UC president Janet Napolitano. She was named after “a secretive process that insiders said focused on her … as a high-profile, although untraditional, candidate,” reported the Los Angeles Times. She did not apply for the position, but made the decision after a head-hunting firm hired by UC contacted her. Why Napolitano? She won’t be the first national political figure to become a university head. The regents apparently were looking for someone with strong political rather than administrative skills, after cuts of $1 billion over the past five years. “When she goes to Sacramento, clearly the conversations will be on a different plane,” said one UC faculty official. She will be the first female president in UC’s history. The regents are expected to approve her nomination at a meeting on Thursday; she would take office in September. Reactions have been mixed. While some praised the appointment, others were critical because of her record on immigration policy and civil liberties. UCSB professor Chris Newfield writes on his Remaking the University blog that while Napolitano “appears to be a very senior manager with lots of political experience, she is unqualified to be a university president.” With UC's announcement of Napolitano's selection, the UC Movement for Efficient Privatization (UCMeP) provided a five-person satirical shortlist for the position. What do you think of Napolitano's appointment? Join the discussion on UPTE's Facebook page. As the proposed student loan overhaul veers toward collapse, The Daily Beast placed "the real college crisis" on "the prestige arms race" that drives up costs. A plan to attend college and pay later has been taken up by the Oregon legislature as an outgrowth of a student class project. The New York Times reports that "Washington State, Vermont, New York, Pennsylvania and Wisconsin have shown interest in the 'Pay It Forward' concept," and that Australia has used the approach, but so far no US universities. This is similar to an alternative tuition plan that UC Riverside students offered in January 2012. Inside Higher Ed reports, however, that "the program is a long way from actually being instituted." In the wake of the US Supreme Court’s decision on affirmative action, which held that universities had to use other means of diversifying campuses before turning to affirmative action, the press has looked at the record of UC, which has been forced to use alternatives following the 1996 passage of Prop. 209. The record isn’t good. At UCLA, African American freshmen dropped from 7.1% of the incoming class in 1995 to 3.6% last fall. A similar plunge took place at Berkeley.